The State Museum of Pennsylvania is a museum in Harrisburg dedicated to the preserving and interpreting of history and culture of the Commonwealth. The building, located in the Pennsylvania State Capitol Complex, is often referred as the William Penn Memorial Museum for its large statue of Penn in the Museum’s central hall. 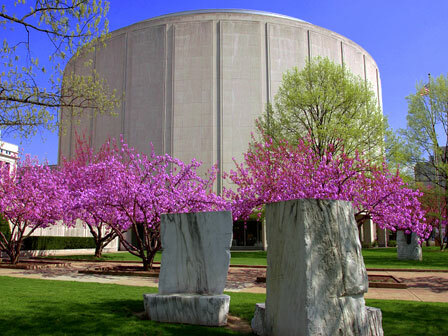 Since opening in 1905, the Museum has collected more than three million objects, covering pre-historic to current events. The Museum provides four floors of exhibits with an extensive collection of artifacts and displays related to the American Civil War, industrial and technological innovations, artwork, paintings, and dioramas.